Brass Ships Bell Stamped NER Co Twice On The Top. 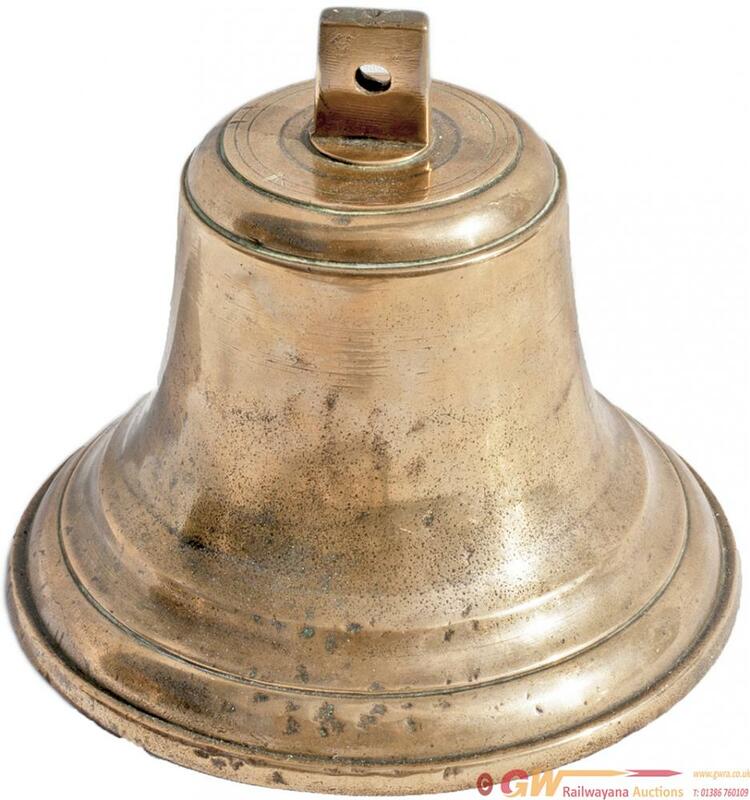 Brass Ships bell stamped NER Co twice on the top. On the inside rim are details of the ship it was salvaged from the shipbreakers. ACT1171 1916 built ammunition carrier finally scrapped in 1973. Admiralty broad arrow stamped on the top. Complete with clapper measures 7 in diameter x 5 .75 in tall. Not only railway interest, but also Royal Navy interest.